Kylie has been seeking the support of her Keeping Up with the Kardashians co-star and big sister Khloe Kardashian, who sadly has some experience in the matters of infidelity. Kylie Jenner is concerned and we can't say that we blame her. The reality TV star has been pretty bothered by the disturbing rumours that her beau Travis Scott has been cheating on her despite his public denial. Kylie is afraid that these rumours might be true. And it wouldn't be the first time someone in her family is getting cheated on. Khloe anyone? Kylie has been seeking the support of her Keeping Up with the Kardashians co-star and big sister Khloe Kardashian, who sadly has some experience in the matters of infidelity. 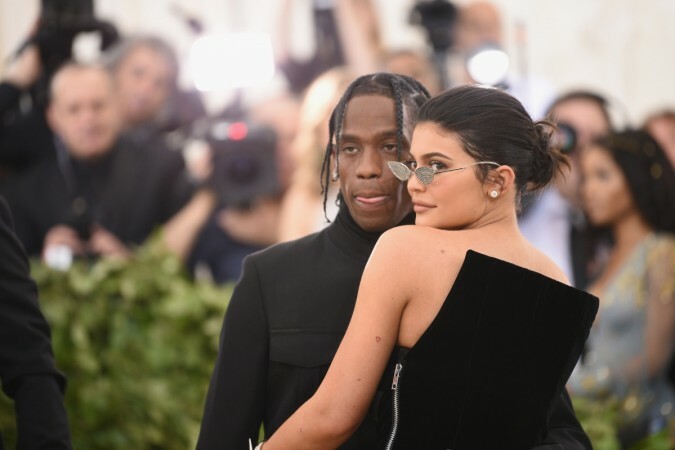 Kylie was concerned after a photo that appeared to show Travis getting cozy with another woman on a balcony surfaced on the internet. "Kylie is freaking out and has been leaning on Khloe for support dealing with nasty Travis cheating rumors," a source close to Kylie exclusively told HollywoodLife. "Having been through it all recently, Khloe has been helping her little sister ignore the haters and online trolls trying to tear apart her young family." "Kylie loves Travis and has dreams of marrying him," the source continued. "She wants to have more kids with him too so she would be broken-hearted if the rumors were true and Travis was unfaithful to her. She is used to random women claiming to be with her man, Kylie learned to deal with it with her ex Tyga, but with Travis it is different because she has a child with him. Kylie would be devastated if it turned out that Travis has been fooling around on her." We hope that Travis doesn't cheat on Kylie. And the youngest of the Kardashian-Jenner clan gets to be in a healthy relationship.